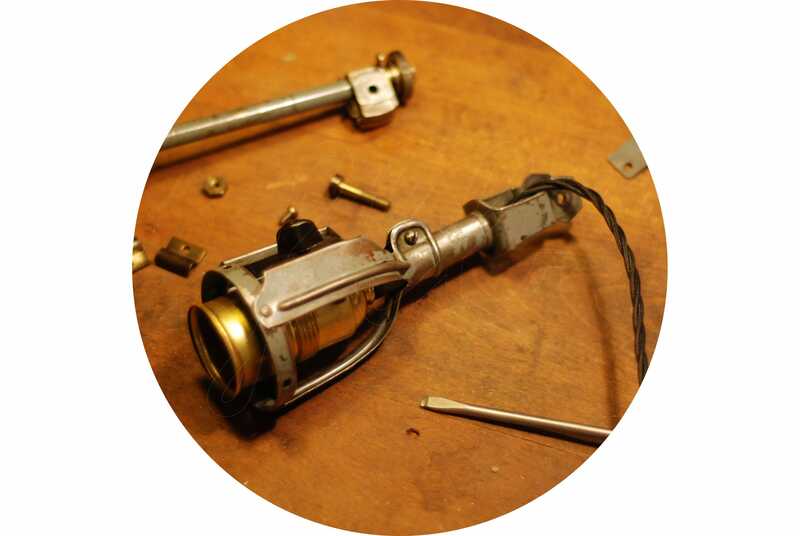 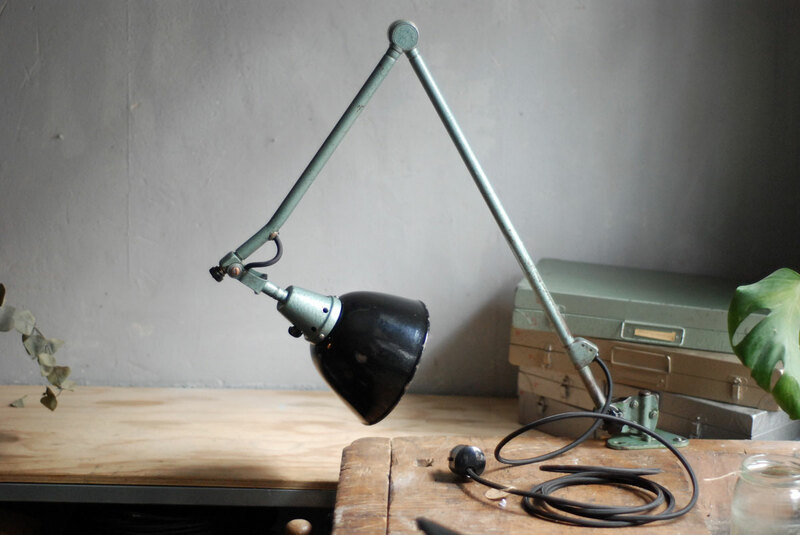 Come visit our restoration workshop in Berlin Neukölln by appointment ! 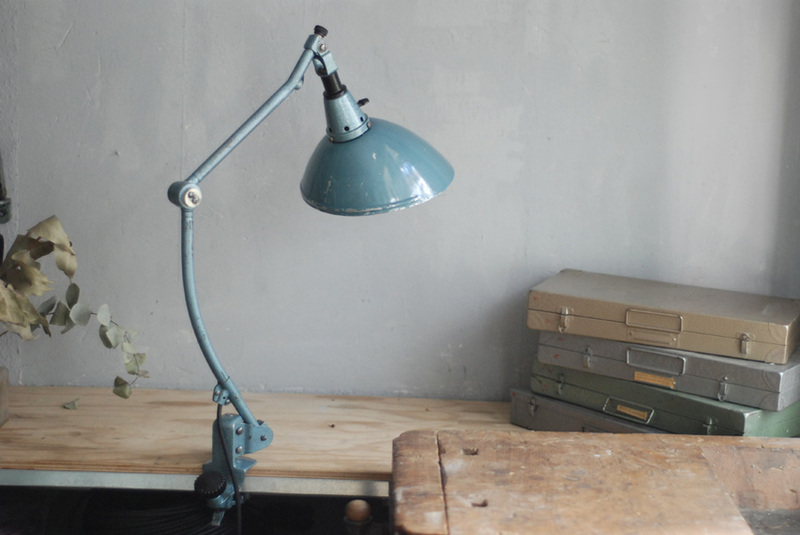 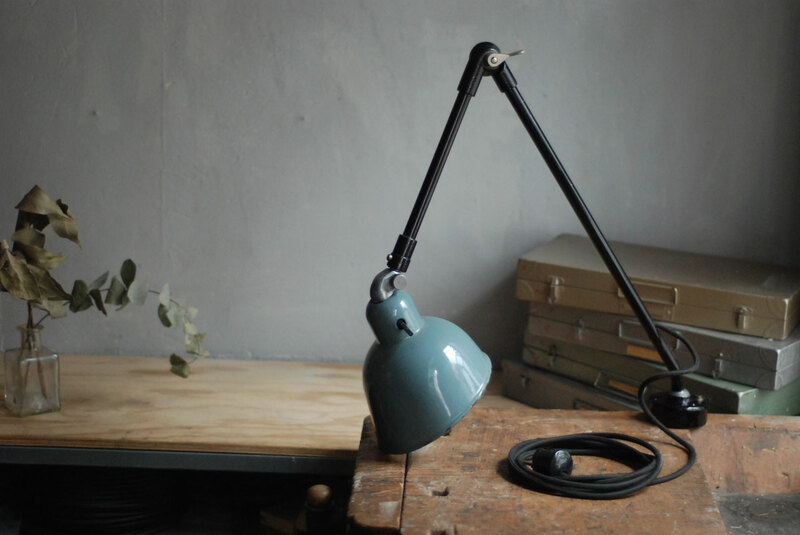 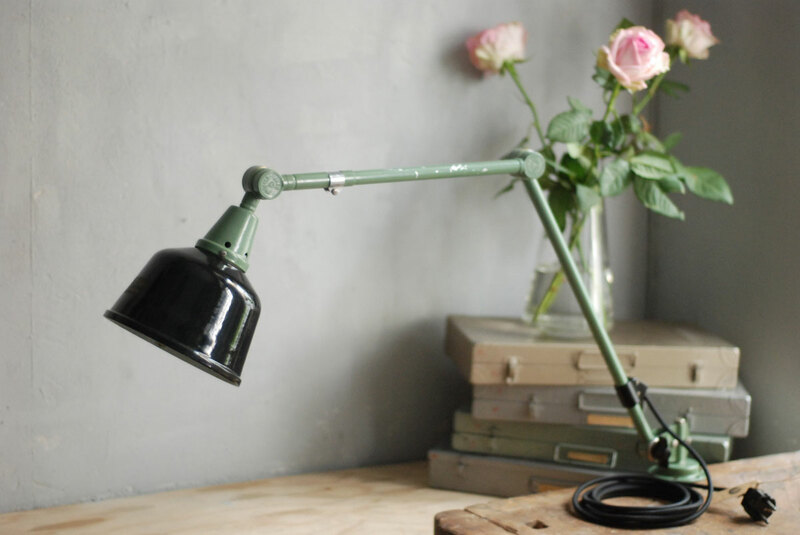 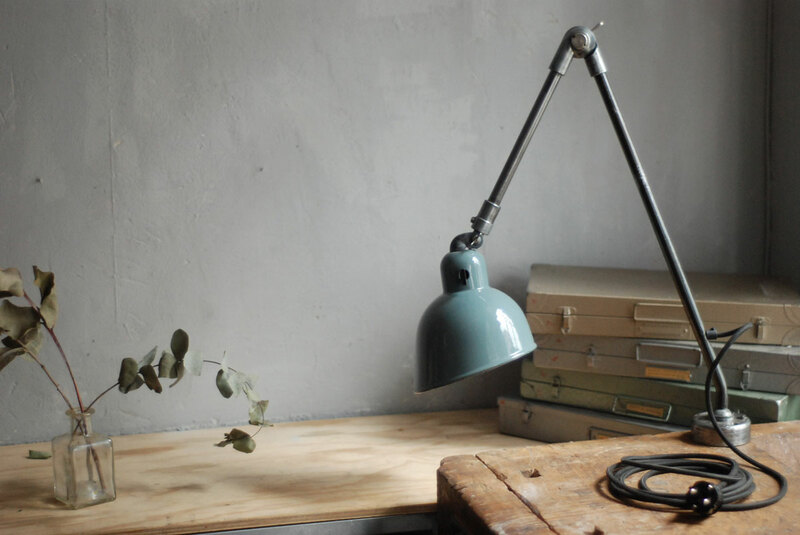 Big task lamp Midgard turquoise hammertone coated with enameled shade. 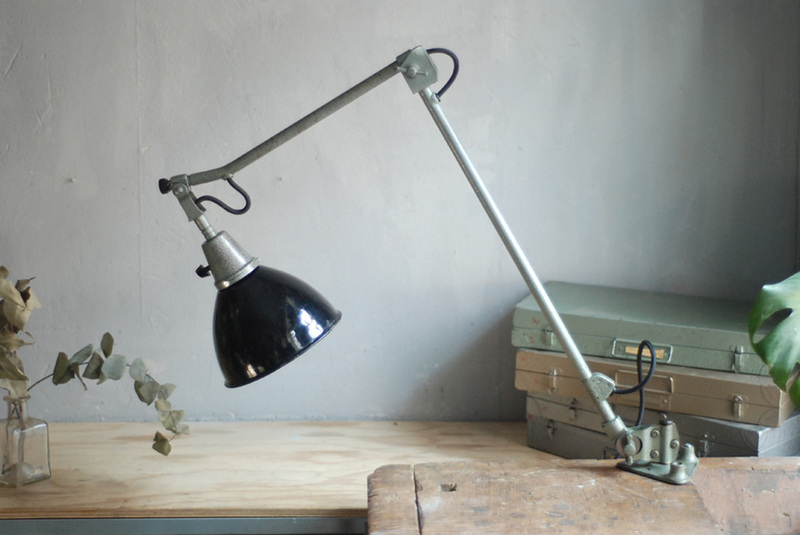 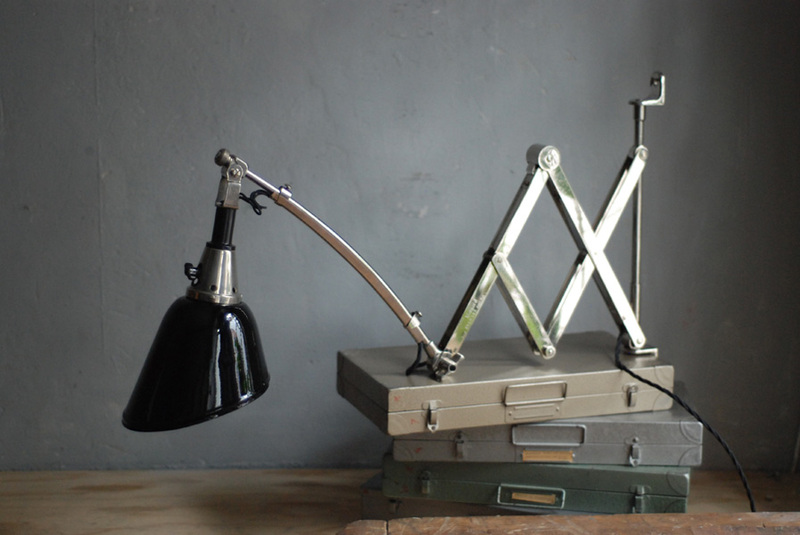 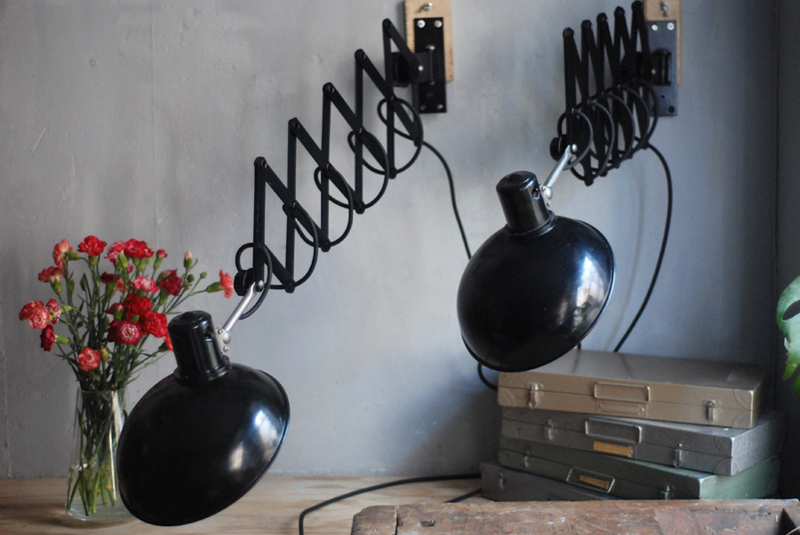 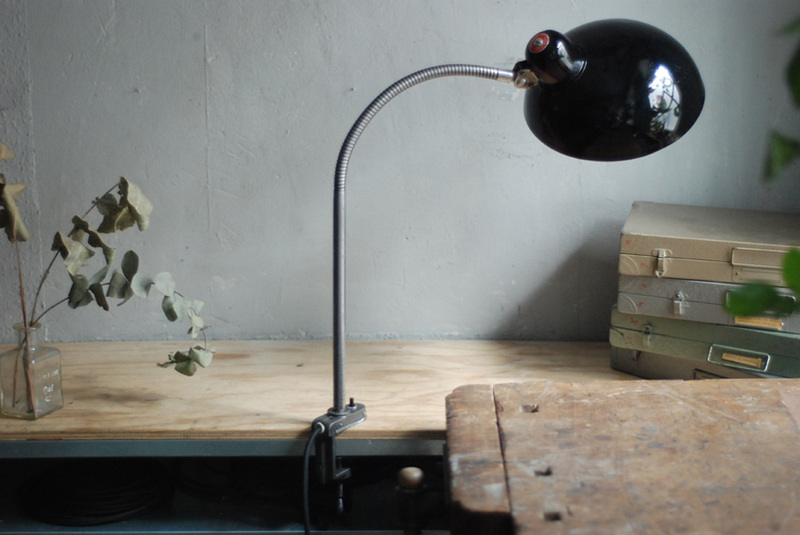 Rare Midgard 116 Grösse II chromed scissor lamp in original condition.